When it comes to mobile games, keeping in view the current era, this industry is progressing tremendously. The pace with which the mobile game industry is growing is probably not even measurable. It is mention worthy that the impact of these games is so strong that their scope has emerged in almost every industry. Mobile games are not just seen to be as a source of entertainment anymore rather they serve in businesses and economy too. Yes! That’s true, let’s try to peek inside how the Film Industry is making use of this phenomenal aspect. Film production involves a hefty amount of capital investment which has to be earned back in order to make profits, with such huge amount of money involved obviously comes massive level of marketing. Mobile games are serving as a source of marketing to these films. With the release of the movie its game is launched or a while afterwards, this thereby boosts up the hype of that film. This looks like to be a combination of Entertainment industry and Gaming industry and it is consistently growing. Amazing, isn’t it? Obviously there must be a reason why people would be building games on these super hit movies. These already successful projects would bring more consumer retention and connection when people would play them as games. Movies take a lot of hard work to build its characters, each character is specifically designed with his/her respective attire. This activity is a complete practice of devotion and thoroughness and is very time consuming. This probably explains why viewers get so attached to some characters of the movie. Taking in view one of the above mentioned movies; Krrish 3, the fan following of this character ‘Krrish’ is so huge that it’s difficult to count. 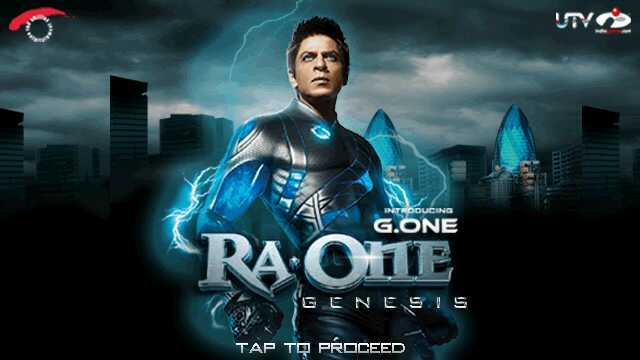 So when a game would be released on this and user would play as Krrish, he would be gone to another world for a while. They would feel like being part of the story and can internalize it sub-consciously too and who wouldn’t want it when they have an obsession with movies? The people who are the audience of Bollywood movies would know the importance and contribution of these above mentioned projects to this industry since all have been super-duper popular. Hence projecting these movies into a mobile game would surely have added a lot to each one of these ventures. This industry definitely does not have even sky as its limit, and never ceases to surprise us while we keep our fingers crossed for the next progress to be made in this business.